Take a trip back to your younger days with one of the nation’s best-known retail chains. 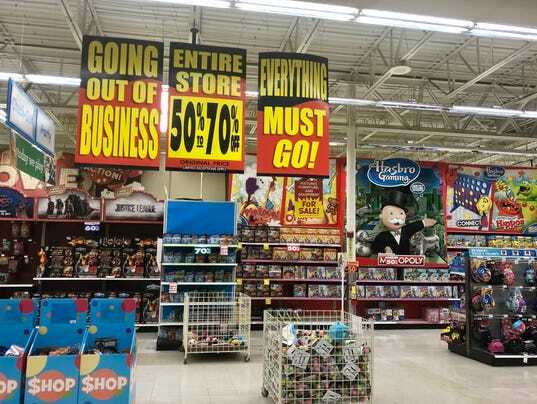 JENSEN BEACH, Fla. — Toys R Us stores are entering their final days and ramping up the deals. The iconic toy retailer announced a new round of markdowns this week with discounts now ranging from 50 to 70 percent with “limited exceptions,” according to a Facebook post. They come about three months after the chain, a second home to generations of toy-craving children, announced it would liquidate. Some of the most valued, in-demand merchandise, such as Nintendo and PlayStation video game systems, was snapped up weeks ago. But kids who appreciate merchandise such as Lego sets, board games, Barbie dolls, Star Wars toys, Nerf guns and more can still come away winners. Prices on most Toys R Us items now handily beat discount competitors such as Amazon, Walmart and Target and rival Black Friday doorbuster deals. Brothers Fabio and Alejandro Benichio, also of Port St. Lucie, have been coming to the Jensen Beach store twice a week for the last five weeks looking for birthday and Christmas gifts. On Monday night, they filled a cart with Barbie dolls and action figures marked down 50 percent, a large Lego set at 40 percent and Doctor Dreadful Snot Shot toys at 60 percent off. The 14 items came to $137.15, a savings of $126.46 off regular prices. For the Jensen Beach store, on Florida’s east coast some 100 miles north of Miami, June 28 is slated to be the last day before the doors close forever, said Andrew Wiggins, a supervisor at the store who has been with the company for more than five years. “That’s completely subject to change and it depends on how fast everything sells through,” Wiggins said. As inventory sells out, portions of stores and empty aisles are being closed off with yellow caution tape and other barriers and merchandise is being moved to the front. Some stores have closed earlier than expected, including the Paramus, New Jersey, store in the city where the chain’s headquarters was situated for years before being moved to nearby Wayne. Candido Herrera, of Port St. Lucie, has been coming to the Jensen Beach store weekly since the liquidation started in March. Most trips he said he leaves empty-handed. Herrera said he is looking to stock up on gifts for his nieces and nephews and “trying to get ahead” on holiday and birthdays gifts. Alejandro and Fabio Benichio became pros when the nearby Babies R Us closed earlier this year as part of the first wave of closings. Look for special merchandise: It’s common for liquidators to bring in special merchandise, often leftovers from other closed retailers. Look for signs at store entrances that explain how to spot this merchandise, which includes women’s slippers, tote bags and special toys not previously carried at stores. Check the product thoroughly: Signs at stores say you cannot open the box, but ask an employee before checking out that you need to make sure all parts, accessories, instructions and warranty information are included. This is especially important on big-ticket items. Use a credit card: This is a safety net if you experience any problems and may offer away to contest the charge. However, you are shopping at your own risk. More info: For questions, visit www.toysrusclosingsale.com or call 1-800-TOYSRUS or 1-800-869-7787 between 8 a.m. and 11 p.m. ET.